The Trans Adriatic Pipeline (TAP) project, which envisages transportation of Azerbaijani gas to Europe, is among the projects underpinning Albania’s economic growth. Standard & Poor's said in its report that it expects Albania's real GDP growth will average almost 4 percent over the next three years, driven by investments and rising service exports. “A number of large-scale investment projects currently underpin growth, and will likely be completed in 2019, including the Trans-Adriatic Pipeline (TAP), which will connect Albania with Italy and the Caspian Sea, as well as the construction of a hydropower plant,” said the report. Standard & Poor's projects that Albania's formal economy will expand by an average of 3.8 percent in real terms between 2018 and 2021, albeit still from a relatively low level of development. TAP project, worth 4.5 billion euros, is one of the priority energy projects for the European Union (EU), and has already attracted 1.5 billion euros from the European Investment Bank (EIB), which approved the loan in early February 2018. 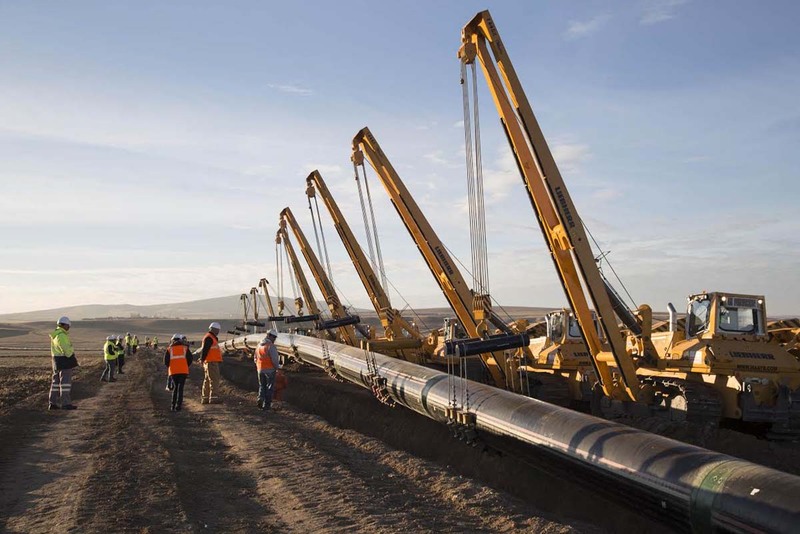 Connecting with the Trans-Anatolian Natural Gas Pipeline (TANAP) at the Greek-Turkish border, TAP will cross Northern Greece, Albania and the Adriatic Sea before coming ashore in Southern Italy to connect to the Italian natural gas network. TAP shareholders include BP (20 percent), SOCAR (20 percent), Snam S.p.A. (20 percent), Fluxys (19 percent), Enagas (16 percent) and Axpo (5 percent).